Unisex full-zip jacket (for boys and girls). Cut and sewn inlaids and contrasting piping. Jacket with elasticated hem. Normal fit. Available in many different colours, Degas by Erreà is a jacket for boys and girls, perfect to use for sports activities, during your free time and as part of your team uniform. 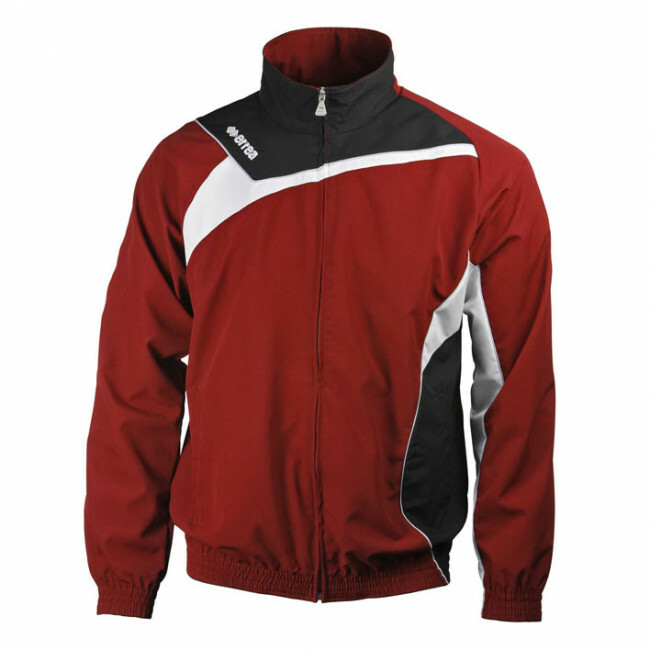 Made of a lightweight, soft and elegant fabric, this tracksuit jacket is the ideal garment to use in mild weather, to protect you from the wind and from the rain. Elegant and at the same time athletic, this jacket is perfect to use before and after matches or training sessions: the elasticated ribbed waistband and sleeve cuffs, provide outstanding wearability and comfort.